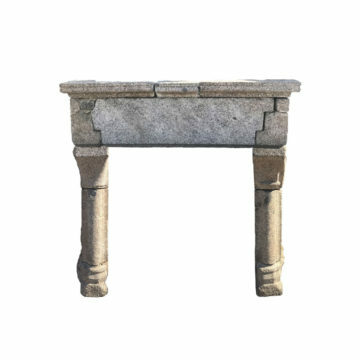 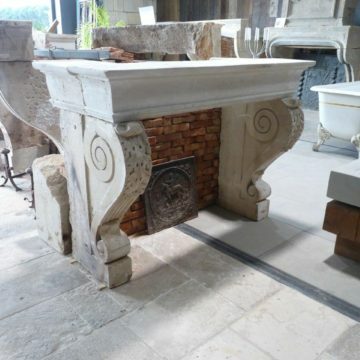 Antique Gothic limestone and oak fireplace. 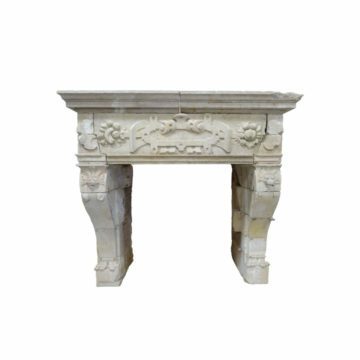 This centuries-old monumental but rustic French chimneypiece is believed no “newer” than 16th century. 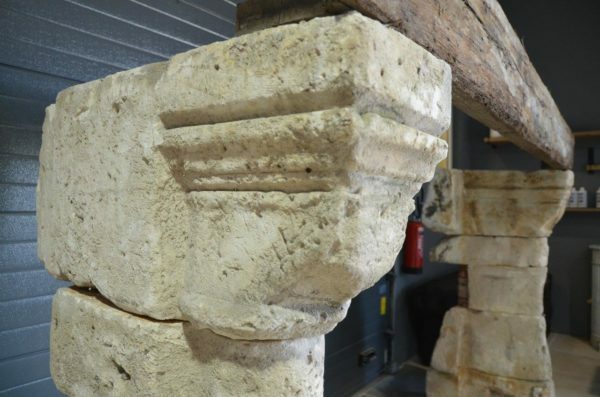 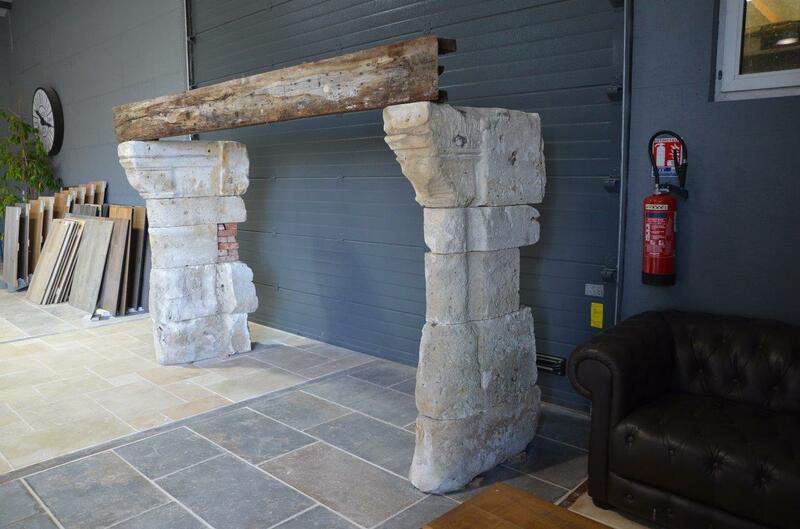 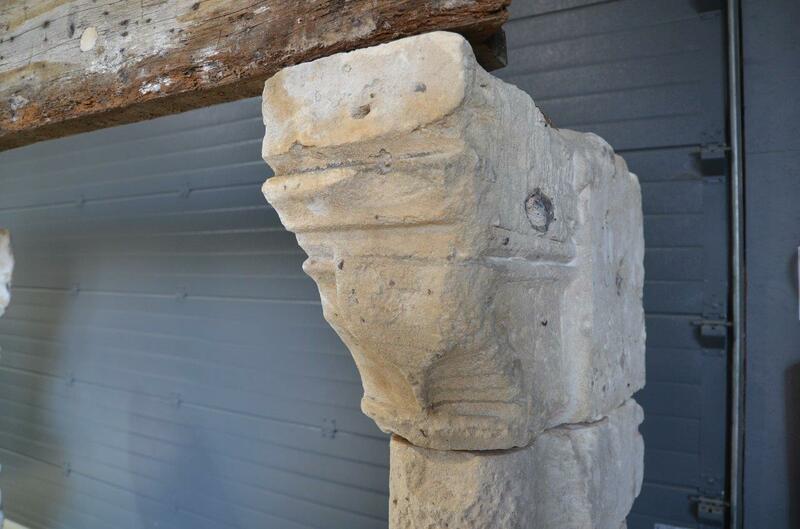 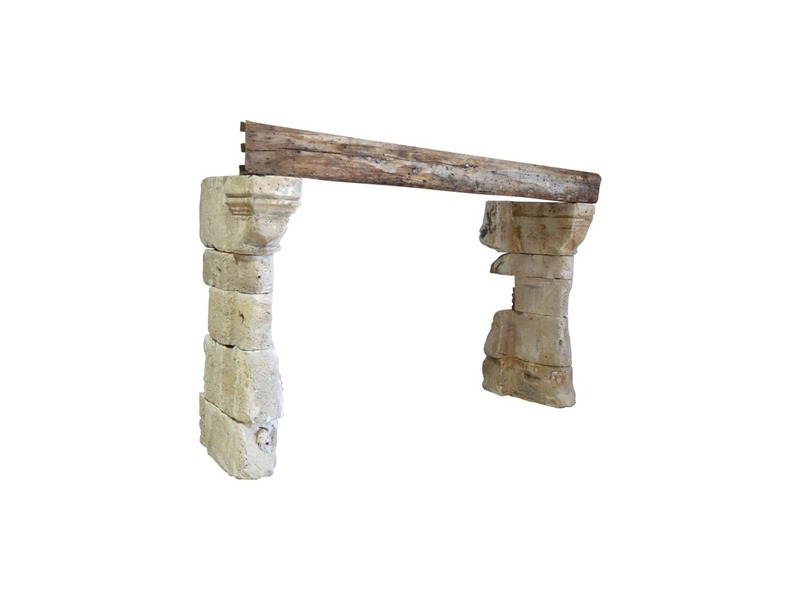 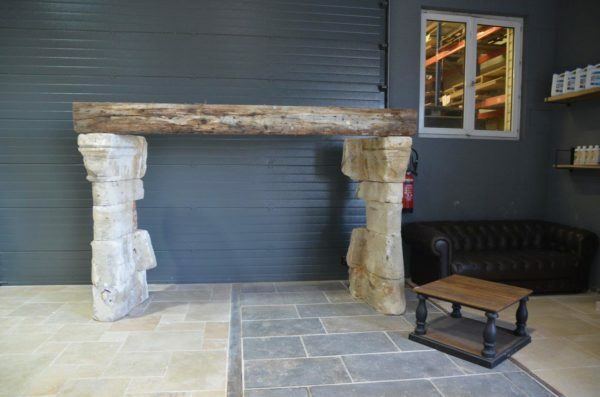 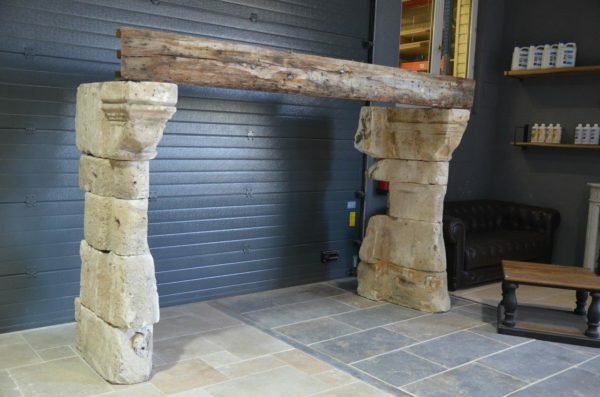 It’s simple antique oak lintel can be replaced with a different one from our own antique reclaimed oak beam stocks. 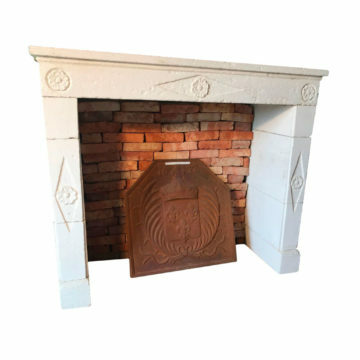 It can be longer or shorter, in order to better suit the required fireplace width of your project. It is on display at BCA’s Mery Corbon premises between Caen and Lisieux in Normandy.